Malaysian women aren’t playing by the rules anymore. Fiercely ambitious and independent, they are stepping out into the world where opportunities abound. You know what’s the best part? We absolutely love it! As we march our way into Women’s History Month, we want to inspire you to follow the footsteps of these empowering femme bosses in the business. While screen queen Nora Danish juggles between films and local dramas, she finds time to let her entrepreneurial spirit shine through her successful label Owl by Nora Danish. A style-forward Muslimah brand that is brimming with modern kurungs, conservative dresses, and printed shawls, this hardworking actress is known for her hands-on approach from early design sketches to the final production stage. Fresh from her hit TV series ‘Suri Hati Mr. Pilot’, nothing gets in the way of Malaysian actress Neelofa and her ambition to pursue beyond acting and appearances. Aside from her talent on the local silver screen, our Malaysian media darling also moonlights as the founder of award-winning Naelofar Hijab that encapsulates Muslimah shawls and fragrances with the essence of femininity and great style. With instincts and experiences as her best teachers, fashion designer Melinda Looi continues to repackage art and fashion into an accessible medium of expression for local style-setters. With a massive portfolio that is peppered with couture dresses, bridal wear, ready-to-wear collection, and celebrity collaborations, showstopper Melinda Looi has become a respected designer in the business and a figure we look up to. The sky is the limit to your dreams and ambitions, and Malaysian singer-songwriter Yuna is our living proof that you can have it all. Of course, sheer hard work and determination are part and parcel of her success today. 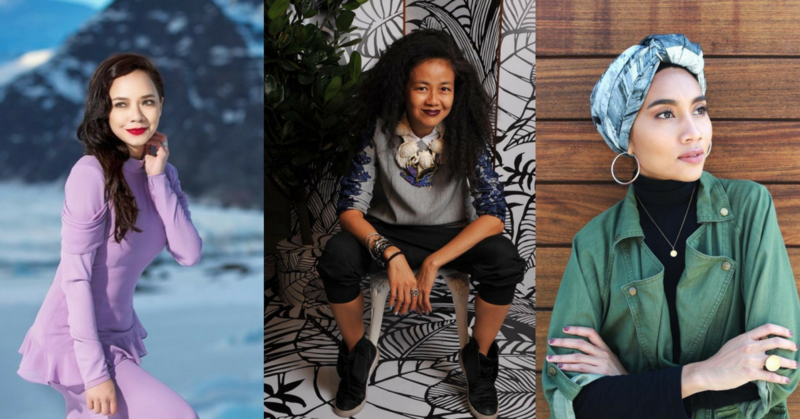 When she isn’t rubbing shoulders with the likes of Pharrell Williams and Usher, she runs a homegrown boutique called November Culture, launched a self-designed clothing line named 14Nov by Yuna Zarai, and collaborated with fashion designer Hatta Dolmat. Saving the best for last, Aireen Omar ranks high on our wish list of favourite female bosses we wish to share the same office or have lunch meetings with. Coupled with a beaming smile and a personality that lights up the room, she occupies the Chief Executive Officer and Executive Director desks at AirAsia Berhad (major slay!). Today, she continues to transform the way we travel through her strong leadership and passion for success. We salute you, Aireen!